TV magnifiers make it possible to read newspapers, magazines and books again by turning your television screen into a full page magnifier. 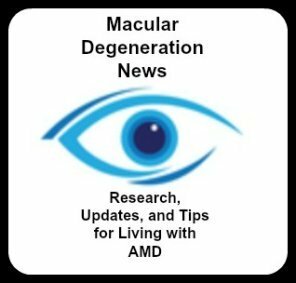 This easy to set up and helpful low vision technology can be used for many different purposes such as looking at photos or greeting cards or enjoying articles and pictures from your favorite magazine. Review your phone or power bill or look at old photos on the TV screen. 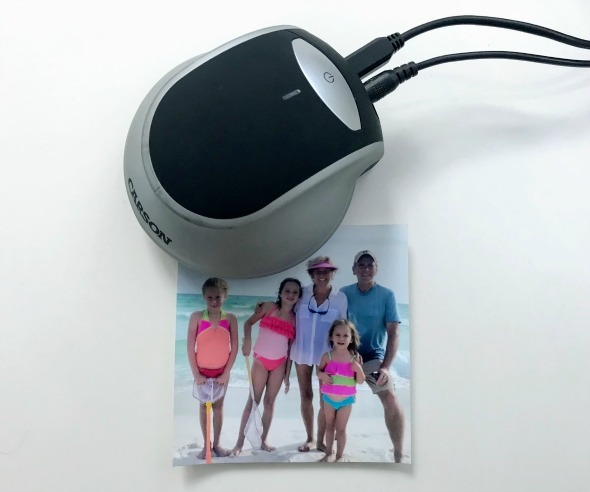 Simply place the mouse like device on top of your newspaper, magazine article, or book page and the image appears on your television screen at a magnification that is dependent on the screen size of your television. As a devoted Brewer's fan, my father-in-law, Les and husband, Bill, read the latest stats on the recent season opener. 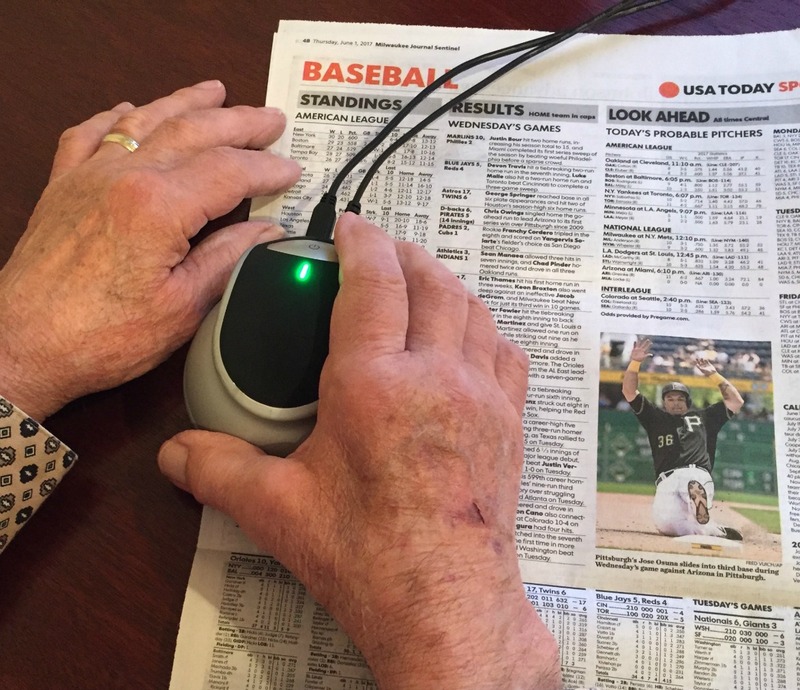 The 5x magnifier that Les normally uses only allows for a couple of words or scores to be seen at one time - with the large TV screen he can see a full paragraph or table of baseball stats. 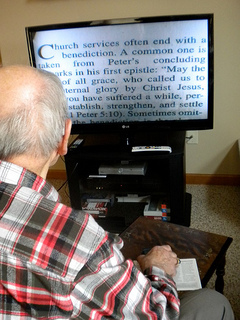 His morning routine of reading the newspaper continues thanks to his TV magnifier. 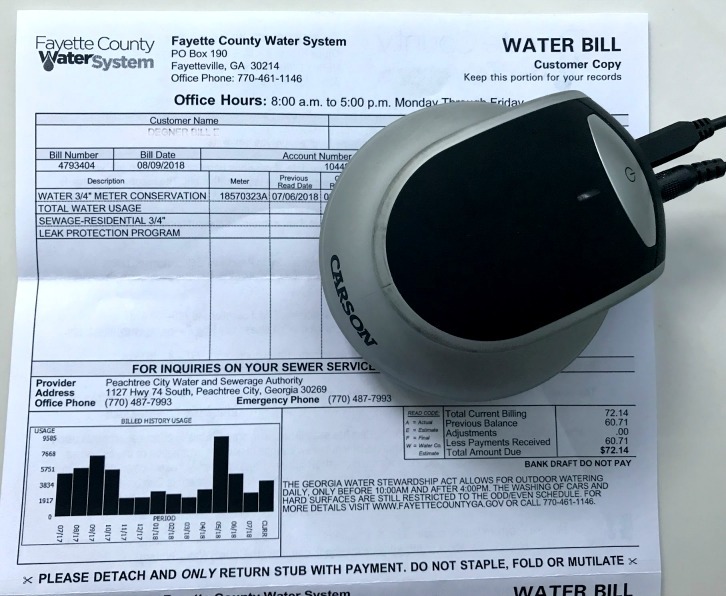 Glide the scanner over your electric, gas or water bill and it will display onto your TV screen with clarity and a really large viewing area. Do you have a favorite store where you like to shop? Want to know what's new and what's on sale? Enjoy browsing your favorite store flyer for sales, coupons and new fashion with the pages now displayed in color and large print on your TV screen. When you get a new phone, a new food processor or a new blender, it's helpful to be able to read the manual that comes with it. You can be sure you are using all the features of your new item and using it correctly be browsing the manual first. If you have a scotoma, which is a gray, black or blurry spot in the middle of your vision, reading becomes more difficult and page magnifiers only provide up to 2x magnification. Smaller magnifiers offer higher magnification but limited viewing area - and who wants to hold a magnifier to read anything lengthy? Surprisingly the Carson EZRead TV Magnifier costs less than $70 - making it a bargain compared to low vision CCTV's that can cost $2,000 - $3,000. My mother and father-in-law just celebrated their 65th wedding anniversary and there were plenty of cards to show for it. We took the anniversary cards and put them under the EZread device so my father-in-law was able to enjoy the well wishes from many friends and family. See how nice and vivid the colors are on the screen? This device displays in colors that are as vivid and bright as anything else on your TV screen. Use it to read magazines to see the beautiful pictures of flowers, food, cars, or sites. Les brought out photos to share with us as he walked down memory lane. The pictures were easy for him to see and to then share with us when and where they had been taken. Since many of our pictures and videos are now on our iPhone - my husband simply placed his iPhone under the mouse like device and displayed the pictures and videos on the TV. They were surprisingly clear. 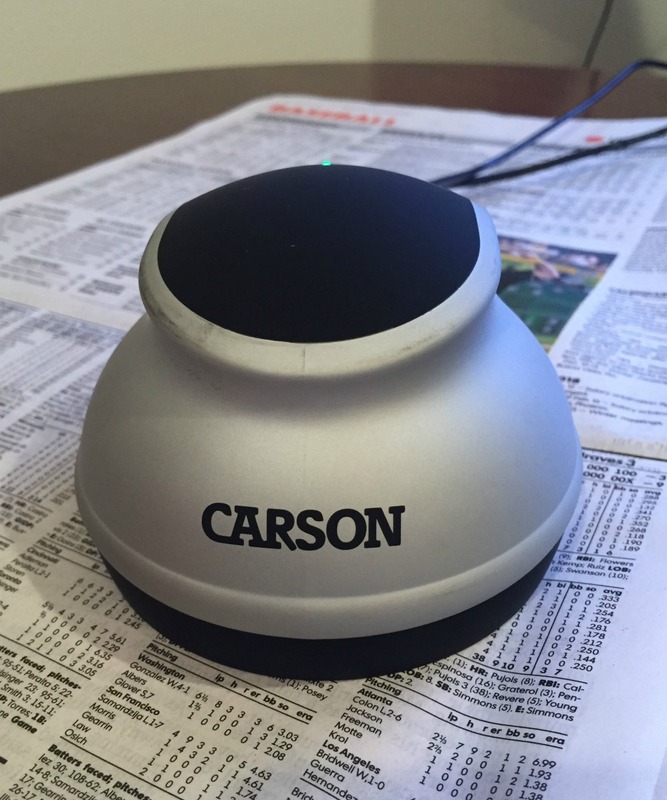 The Carson EZRead Television Magnifier is easy to set up. However you you will need a TV that has a "video in" or "component" input. It will not work with an analog TV. 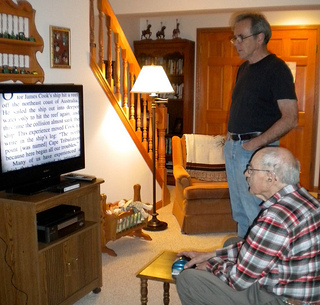 Les is not the only one with AMD that is benefiting from this low vision technology. 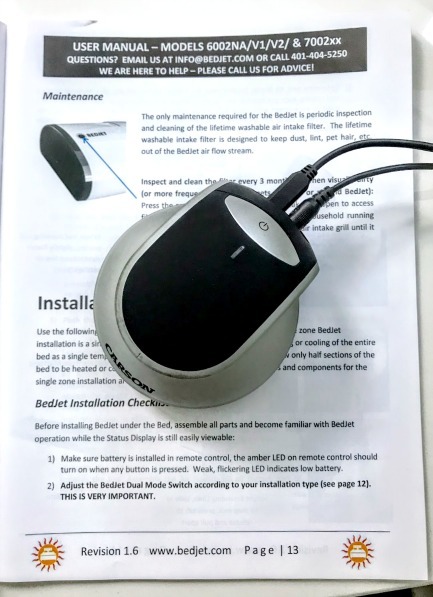 Several reviewers of this reading magnifier have macular degeneration and find it to be a great way to magnify their reading without spending several hundred or thousands of dollars on a low vision CCTV or electronic magnifier. 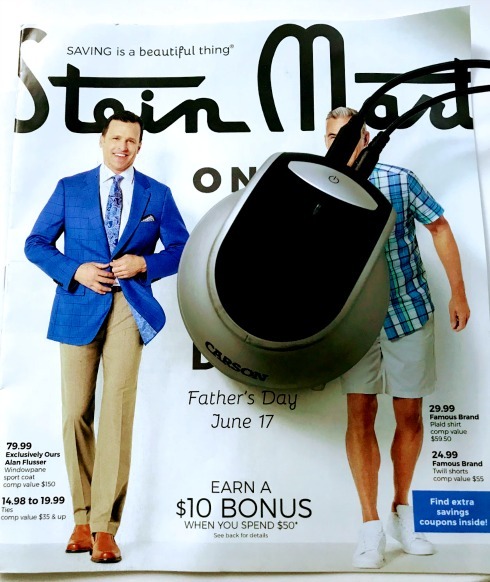 "I purchased this digital reader for my husband, who suffers from macular degeneration. He loves it, and was able to read for four hours the first day. 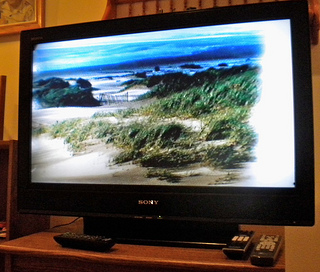 We plugged it into a 27" TV that we don't use very often, and placed it in a room where it can be setup all the time." You don't need to give up reading with this easy to setup magnifier that anyone can use.